Justice Scalia pointed out that the DNA collection statute had absolutely nothing to do with identifying the arrestee. 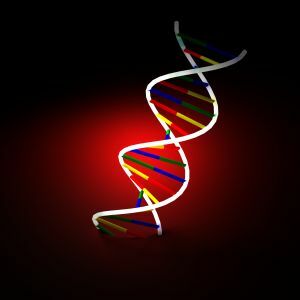 DNA samples do not, and with current technology cannot help law enforcement for weeks if not months, which is long after the arrestee has been identified by the booking process and after his pretrial release status has been determined. The comparison to photographing and fingerprinting the arrestee is hardly compelling, as the current fingerprint database can produce identification results in minutes. Scalia logically explained that the DNA CODIS database used to solve cold cases is only effective if the identity of the owner of a new sample is already known. So collecting these new samples has nothing to do with identifying the arrestee, and everything to do with solving cold cases. And under the Fourth Amendment our founding fathers rejected the idea that citizens should be forced to give up any privacy rights absent probable cause or special needs of the government. Special needs or interests may include instituting a lower degree of privacy in certain areas such as schools or airports, but normal law enforcement goals such as solving cold cases has never been considered a special governmental need, and a person should not be forced to give up his or her privacy to satisfy this need. Perhaps Scalia’s most compelling argument is that the majority’s decision will only affect those who have been arrested and later determined to be innocent, as arrestees who are convicted of serious crimes are required to submit to DNA testing upon conviction anyway. This decision is of particular interest to the Blog due to the amount of so-called serious cases such as assaults and burglaries that we handle. As a result we will continue to follow how this decision affects future legislation, and another post may be forthcoming. In the meantime, contact Benjamin Herbst at The Herbst Firm for a free consultation from an experienced criminal defense attorney about any legal issues you may be facing.